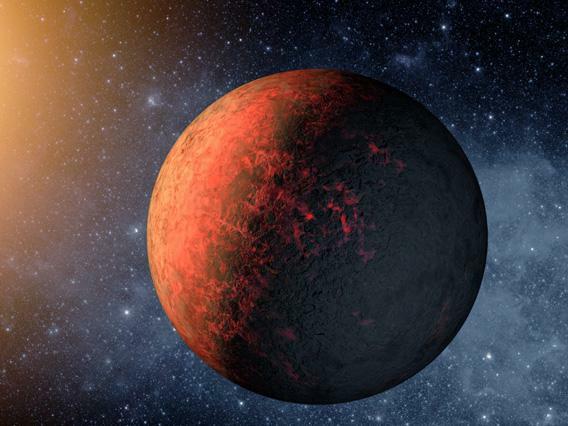 Name exoplanets through Uwingu: Alan Stern seeks nominations. Fed up with dull names for exoplanets, Alan Stern and his company, Uwingu, have asked the public for help. Stern is the former head of science missions at NASA. He and a group of fellow scientists and educators launched Uwingu’s hunt for names last year at uwingu.com. Stephen P. Craft: How did you come up with the idea for a list of potential names for exoplanets? Alan Stern: The number of planets in the Milky Way was recently estimated at more than 100 billion. We realized that that’s far, far too many names for astronomers to supply, that it would take the general public, too. We also realized how much fun this could be for people. SC: How do people submit names? AS: For 99 cents, anyone can put in a name, as long as it isn’t already nominated and isn’t profane or pejorative. People can also vote on which names they like best. We only have a few hundred now, but the idea is that we will have hundreds of thousands of names in the database. We will take the thousand most popular, which will correspond to the thousand or so exoplanets that we already know about, and hand those to exoplanet scientists. SC: What kinds of names are people suggesting? AS: It is pretty interesting. People are putting in names of friends, spouses. They are putting in lots of science-fiction names like Alderaan and Yuggoth, names of authors such as Heinlein and Asimov, and even politicians like Obama and Romney. As this gets out to the general public, we expect there to be a lot of interesting contests going on—maybe Lady Gaga versus Madonna. SC: What’s wrong with the existing names? AS: There are none—just “license plate” designations like 2M 0746+20b or OGLE235-MOA53b! SC: Isn’t it a problem that your company, Uwingu, has no formal ties to the International Astronomical Union’s naming committee? AS: I think most people get that this is for fun and engagement. It’s not meant to be official. In a sense, it’s a social experiment. Naming celestial objects is usually done by astronomers and professionals. Other people who are interested in space never get the opportunity to do that kind of thing. What if they did? What would the people of Earth choose? What would their imagination do that we wouldn’t do, as astronomers? SC: What else is Uwingu trying to accomplish? AS: The mission of the company is two-fold. Priority one is to better connect the general public with space and the sky. Two is to operate a fund for space research, exploration, and education. SC: What is the Uwingu fund? AS: It comes from revenues generated by people nominating and voting for their favorite exoplanet names, and it goes toward needy space projects, such as SETI’s Allen Telescope Array. SC: Why should the public trust you with their money? AS: People in the research and education community recognize our names, so they will come to us in ways that they wouldn’t otherwise. We are professional scientists and educators, and we will do the quality control. Our intent is to be worldwide, not only in our revenue, but in our expenditures. Uwingu is the only thing around like this; nobody else has thought of anything similar.